Safeguard Properties named Sheilla Lienerth, EMBA '15, as Assistant VP of Client Relations. 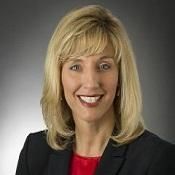 Safeguard Properties, a mortgage field services provider based in Valley View, Ohio, named Sheilla Lienerth, EMBA '15 (and 2015 Executive MBA Leadership Award recipient), as Assistant VP of Client Relations. Lienerth will oversee client account management and process improvement at Safeguard. As a Six Sigma Black Belt, Lienerth “brings a continuous improvement mindset and process discipline to all aspects of her work,” according to Safeguard. "I was not prepared for the way the EMBA would change my outlook on work, culture and environment. I had the most invigorating experience," says Lienerth of her time at Case Western Reserve Universtiy.